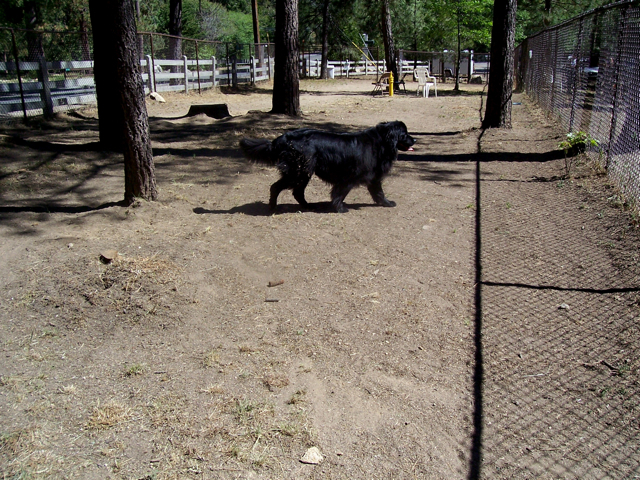 Two things you’ll notice immediately about the Idyllwild Dog Park this week. Many of the ornamental trees have been cut down, and there’s no water available. The dog park is located inside a fence on the Idyllwild Pines Camp property. The camp donated the land to ICRC, which maintains the dog park for the Idyllwild community. Manzanitas, oaks, and pines have been cut to stumps. The bushes camelflaging the front gate are gone. Only the tall cedars and pines remain, along with a smattering of trees. Now the sun beats down on the dirt, but dog owners say there hasn’t been any drinking water available for weeks. The park is divided into two parts, separated by another fence. Each part had its own water spigot in the back with dog bowls underneath. But this week, the bowls remain dry. 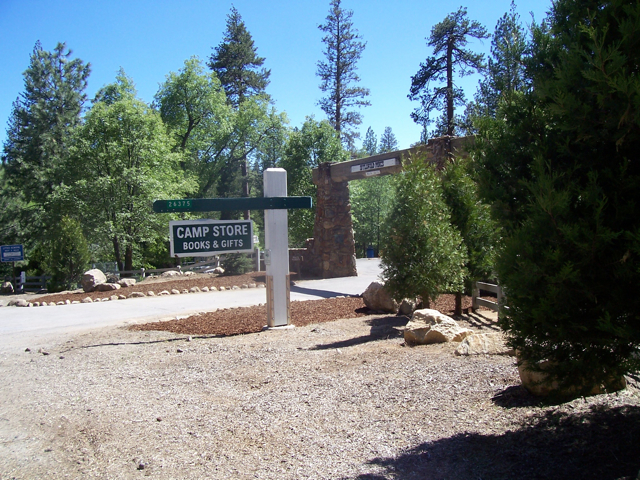 He added that ICRC doesn’t pay the water bill; Idyllwild Pines Camp does. 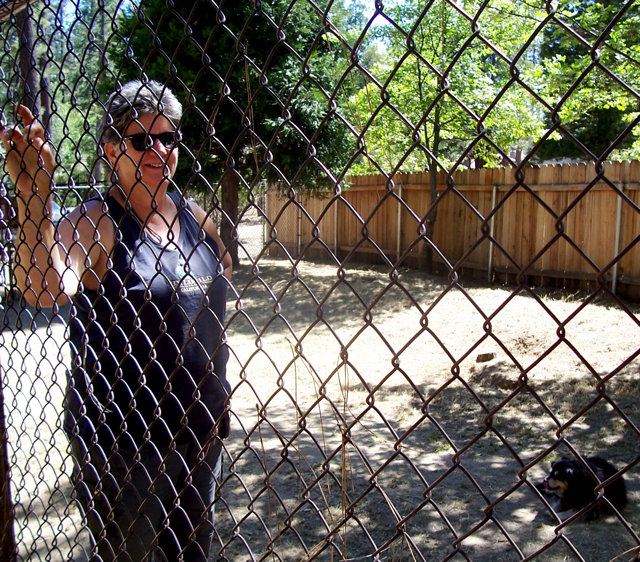 But Town Hall is in charge of maintaining the dog park. “I hate to see anyone cut down live trees,” said Barb, an dog sitter from Idyllwild, who was at the park with her friend, Lori, and their four dogs. The dogs were panting under one shade tree. Barb pointed to a barren area in the park where only a stump remained. She said that perfectly good oak, manzanita and pine trees were cut down to stumps. When asked about the trees, Cindy, from the Idyllwild Pines Camp, said that they’re changing things and moving things around. They’ve cut trees and bushes and plan to add natural plants to the front of the camp. “We’ve really been needing it for a long time,” Cindy said. 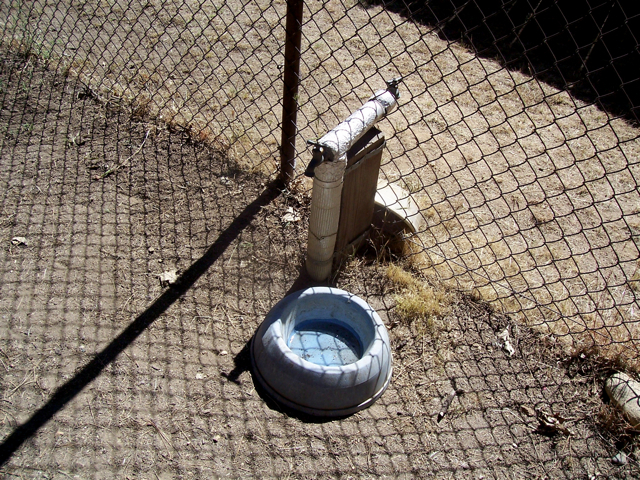 Cindy didn’t know why the water in the dog park had been turned off, but said she’d look into it. “We wouldn’t shut off the water intentionally,” she said. Barb said that she called a friend on the ICRC board to ask about the water shut-off. Barb added that she didn’t think that ICRC knew about the cut trees. “The camp donated the land, but you’d think they’d let ICRC know what was going on,” she said. Then Barb smiled for the first time during the conversation. Copyright 2011 Idyllwild Me. All rights reserved.